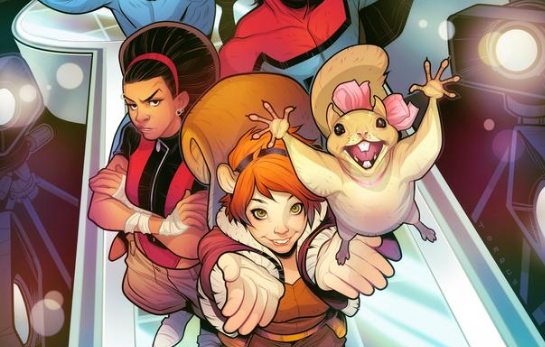 Marvel's New Warriors comedy series featuring Squirrel Girl is actually happening and the Freeform network revealed the character lineup that will join her. The live-action, 30-minute series will include Microbe, Night Thrasher, Mister Immortal, Debrii and Speedball. The series is loosely based on 2005's mini-series by Zeb Wells and Skottie Young. Created by Tom DeFalco and Ron Frenz, the New Warriors first appeared in The Mighty Thor in 1989, before launching their own title run. 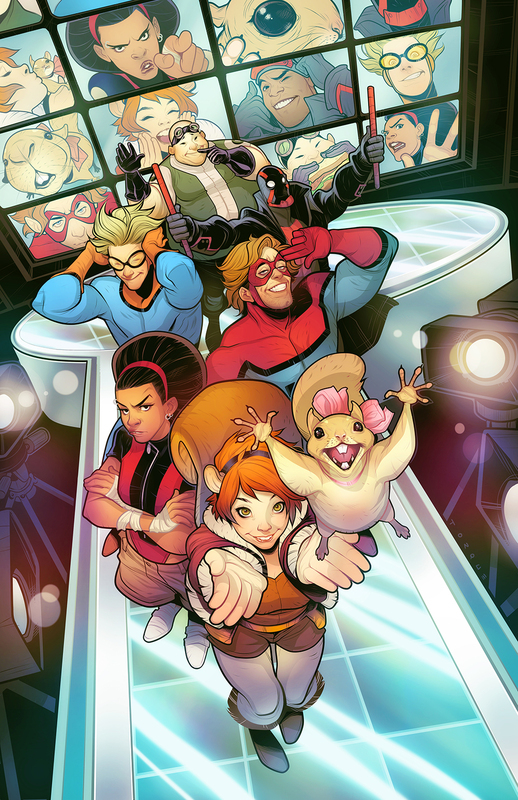 The New Warriors is a superhero team of teenage and young adult heroes who aren't quite ready to be Avengers. Doreen Green (Squirrel Girl), Deborah Fields (Debrii) and Robbie Baldwin (Speedball). Doreen is a totally empowered fangirl. She is a natural leader – confident and tough, but not innocent. Doreen is bouncy and energetic, and her greatest quality is her optimism … She has faith in others and inspires people to believe in themselves. She also takes her pet squirrel, Tippy Toe, everywhere. Superpower: Cannot die. Ever. Maybe. So he says. The team troublemaker and lothario … Craig is kind of like “The Most Interesting Man Alive,” except he’s more cocky than confident and, at times, charmingly grumpy. Although Craig’s superpower seems amazing, he hasn’t made use of it at all – he’s lazy and figures if he has all the time in the world to learn how to fight, what’s the rush? Dwayne is a local celebrity "hero" with his very own YouTube channel. Brilliant, strong, noble and maybe a bit full of himself, Dwayne is a shameless self-promoter and entrepreneur. But he also deeply believes in justice – at least his version of it. Dwayne hides the fact that he comes from a really rich family because he's afraid he'll lose his street cred. Robbie grew up watching Quinjets take off from Avengers Tower and loves the idea of being a hero. He’s an impulsive and immature people-pleaser with a misplaced sense of confidence. Although you would think throwing kinetic balls of energy would be awesome and effective – his are completely out of control. Zack is a shy hypochondriac whose ability nearly makes him a telepath – the germs tell him where you've been, what you ate and who you hung out with. It's impossible to keep secrets around him. He's a big sweet guy the team takes under their wing, and they help him find and grow his own confidence. Deborah is proud, funny and quick-witted. Confidently out as a lesbian, Deborah has experienced deep loss in her personal life as a direct result of super "heroics." She can take care of herself, or at least says she can. She's the one who calls people on their BS and has no fear of putting her opinions out there. No casting announcements have been made yet. New Warriors will debut in 2018 on Freeform with ten 30-minute episodes already ordered.